Midsize SUVs are a popular choice for families who need plenty of space and utility but want the latest tech features and creature comforts too. In this class of vehicles, the 2018 Toyota Highlander and Ford Explorer are two of the most popular choices among drivers and industry experts alike. Here’s how these classic SUVs compare to one another. The 2018 Toyota Highlander is one of the only midsize SUVs to include active driver assistance features in every trim. The Toyota Safety Sense package comprises state-of-the-art tech like forward collision warning, pedestrian detection, automatic emergency braking, automatic high beams, lane departure warning and lane-keeping assistance, and adaptive cruise control. While the 2018 Ford Explorer offers most of these features too, they are relegated to higher trims and add-on packages. The Highlander is a Top Safety Pick of the Insurance Institute on Highway Safety, the agency’s highest designation. The 2018 Toyota Highlander is expected to have a longer lifespan than the Ford Explorer based on the J.D. Power and Associates Predicted Reliability rating. The Highlander received an above-average rating from the organization, while the Explorer was ranked as average. The Toyota Highlander’s combination of high-end features and good performance create an all-around package that’s a great value for most drivers. Intellichoice named it as the best overall value among SUVs for the last six years and noted that the Highlander has the lowest operating costs, lowest maintenance costs, lowest fuel costs, and highest retained value among the midsize class. This makes the Highlander a great choice for drivers who want an SUV they can drive for years to come. 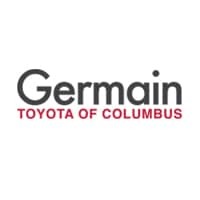 If you’re convinced that the 2018 Toyota Highlander is the SUV for you, visit us at Germain Toyota of Columbus for your test drive today. Our friendly, knowledgeable sales staff will be happy to assist.